G.I. 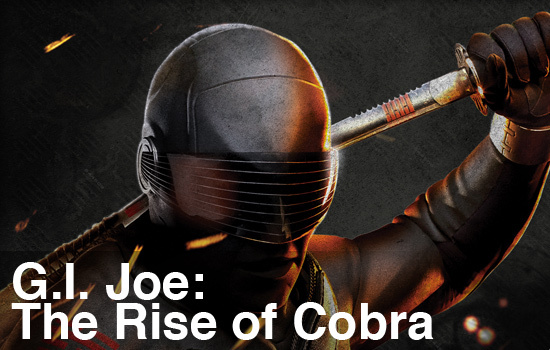 Joe: The Rise of Cobra is a run and gun shooter, similar to classic co-op titles of the past. The most distinct vibe I got from the game was that of Ikari Warriors; G.I. Joe is almost exactly a three dimensional, modernized remake of that game. That's good in some respects, but the fact is, we've come a long way in the last twenty years, and there are some problems with G.I. Joe that put a damper on the experience. It's really just what you'd expect from a movie tie in: not great, but pretty good, and your enjoyment of the game will be most influenced not by the game design itself, but by your enjoyment of the property it is based on. Like most boys who grew up in the 80s, I had plenty of G.I. Joes in my toy box. The action figures (not dolls, dolls are for girls... ahem) were pocket sized, articulate, and had tons of cool accessories. Even better were the vehicles, based on real world equipment but sized perfectly for the Joes to fit in. A clear, simple, good vs. evil storyline, plus a well done cartoon, made G.I. Joe one of the most successful toy franchises of all time. That's all well and good, but how does it translate into a modern video game? The gameplay is fast paced and very chaotic. Two Joes are on screen at all times, and the perspective is third person, with the camera back a considerable distance from the characters. The camera is probably the greatest weakness in the game. 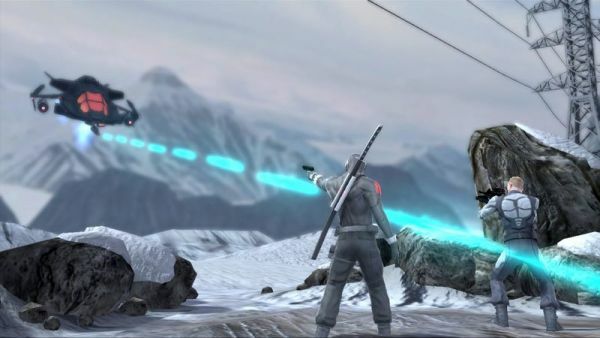 There is no camera control on the right stick, which is the standard for third person shooters. This makes for some truly frustrating moments. Often, your character is stuck behind offscreen objects, and you have to make your best guess at how to get unstuck by looking for your weapon's fire. The camera is slow to reset itself, and it often takes several seconds for the perspective to zoom around. So what's the right stick used for, if not to control the camera? It flips between targets on the screen. Pulling down the right trigger lets loose a constant stream of bullets, lasers, flame, or whatever else your Joe is packing, all aimed right at your current target. There are melee attacks as well, but I found them less useful, unless you are surrounded by several foes at once. It can be tough to find the target in the middle of a big fight, but the game will automatically target for you. Most of the time, this is very helpful, but occasionally it's a problem. Finding your character shooting frantically at a bonus point box off screen while a red ninja is breathing down his neck is frustrating. The targeting system bugged out on the same gunship mini-boss battle on us no less than three times, which is really unacceptable. There are a few nods to Gears of War in G.I. Joe. First is the cover system. You can hide behind barrels, concrete blocks, and the like to avoid enemy fire. This is fairly useful, as you regenerate your health over time. The cover can be destroyed, and you can't fire while in cover. Your Joe can dive or roll to dodge attacks, using the A button. This is the same control used for taking cover, oddly, meaning you might end up rolling out into an attack when you thought you were hiding. Another nod to Gears is the "slow walk and hold the right ear" style of storytelling while your Joes are in-mission.